Hit guitar crooner Feliciano in blaxploitation soundtrack shock? 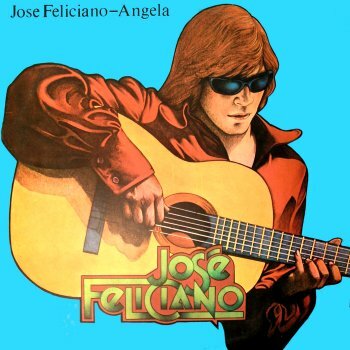 Yes - Jose Feliciano actually did write the music to Aaron Loves Angela, on his album called simply 'Angela'. He also had a cameo in the movie. The music is surprisingly funky - there are some solid beats on here, and a couple of the tracks genuinely get in-the-pocket in a short of blaxploitation-lite feel. Note that the brass section includes Tom Scott, and Willie Bobo also guests. Well worth a relatively cheap dig - you might be surprised. Thanks a lot for this excellent contribution!!! How can I Open This File to listen? Excellent, thanks ! Just found out your site, tons of good stuff here, thanks and respect ! absolutely genial the arrangments of the last -long final of the song "Angela" included only in the Lp (more than 6 min) and some cut like Sweet Street, Salsa Negra. I've got a feelling and the incredible guitar masterwork on the instrumental on "nirvana part1 e 2". Is there any link to this album?